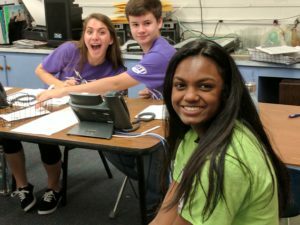 You can bid on great items donated by local businesses and make a difference in the lives of students through your support of the 30th annual 88.1 the Park Radio Auction on Saturday, May 19th from 9am to 9pm. The station will have great items to bid on, including autographed memorabilia, restaurant gift cards, and services from local businesses. A Dream Board with more unique items will be available for bidding all day.Last year, 88.1 raised over $16,000 and this year they have set a goal of $18,500. 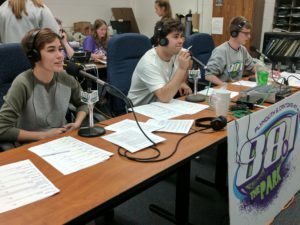 Local businesses and residents still have time to support the student radio station by donating items. Businesses that donate can benefit from the exposure they will receive on 88.1 The Park. Most importantly, they will be helping a program that has impacted the lives of students and served the Plymouth-Canton community for 46 years. Businesses or individuals interested in sponsoring a half-hour or hour of the auction can e-mail Keith at [email protected] Businesses that are willing to display an auction flyer can also contact the station. The auction is a great reminder of the impact the station has had in the lives of students. The station’s alums have stepped up to match half hours of the auction. They also hope to add more alumni matchers in the weeks ahead. “We want to thank everyone that has supported us over the years. The auction has become such a big part of our fundraising. This is our biggest fundraiser and we couldn’t do it without the generous support of local businesses and our listeners” said Bill Keith, WSDP Station Manager. 88.1 The Park is owned and operated by the Plymouth-Canton Community Schools and is staffed by students at Canton, Plymouth and Salem High School. The station features Plymouth and Canton’s Hit Music, hourly local news, live broadcasts from the community, and high school sports.